In case you have always wanted to visit Vietnam, and have been running pillar to post for your Vietnam visa, here is a piece of good news for you. 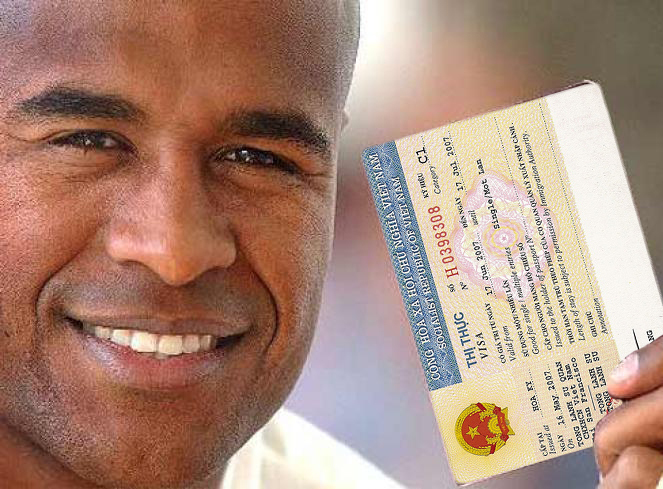 Now you can get your Vietnam visa in absolutely no time with www.Vietnamimmigration.com. This is a site which will not only give you step by step guidance for your visa but will also make you the same available in only 24 hours. All you are required to do is to log in to their site. There you would be regaled with a host of responses which should broadly satisfy all your queries regarding your Vietnam visa. Just in case you still have any unanswered queries left, you can always call up at their toll free number to get the best support. Just fill in the online application form and pay service fee at their site and you would be on your way of getting your Vietnam visa in no time. This company is trustful and will deliver what they promise. In case you are flying with your family and want multiple visas, they can help you with the same too. Once you have paid them the service fees and filled up the application form, the same would be verified in very little time and your details sent to the Vietnam’s Immigration Department. Once this process is completed you will get an e-mail notifying so and you will get your visa on arrival. This is a company which can offer you one of the best services in this regard. Once you get your approval letter from their email, print it out and take it with you to a Vietnam international airport, would your visa be stamped on to your passport. Thereafter you would be required to pay the visa fees to the Immigration Officer making the process complete. Vietnam is an open country and would like people from all over the world to visit them, whether for business purpose or for pure traveling proposes, and getting the Vietnam visa has become really simple over the years. This is a site which will guide all the travelers with everything from the places to visit in the country to currencies and change in timings as per your country plus rules and regulations to be followed, once in that country. There can not be a better friend, philosopher and guide for anybody visiting Vietnam, and especially for the first time. For a very small fee, all your travails regarding your visa and stay in Vietnam would be taken care of. Do not wait, in case you have always wanted to visit Vietnam, but never knew from where to get guidance for the same, get in touch with www.Vietnamimmigration.com today.